Meizu is yet to release an official launch poster to confirm on the arrival of the upcoming Meizu 16 and Meizu 16 Plus flagship smartphones. However, Meizu CEO Jack Wong who has been spilling information on the forthcoming Meizu 16 series on the official community of the company has now revealed that the Meizu 16 and 16 Plus phones will go official on August 26. The Meizu 16 duo are expected to be fueled by Snapdragon 845 SoC. 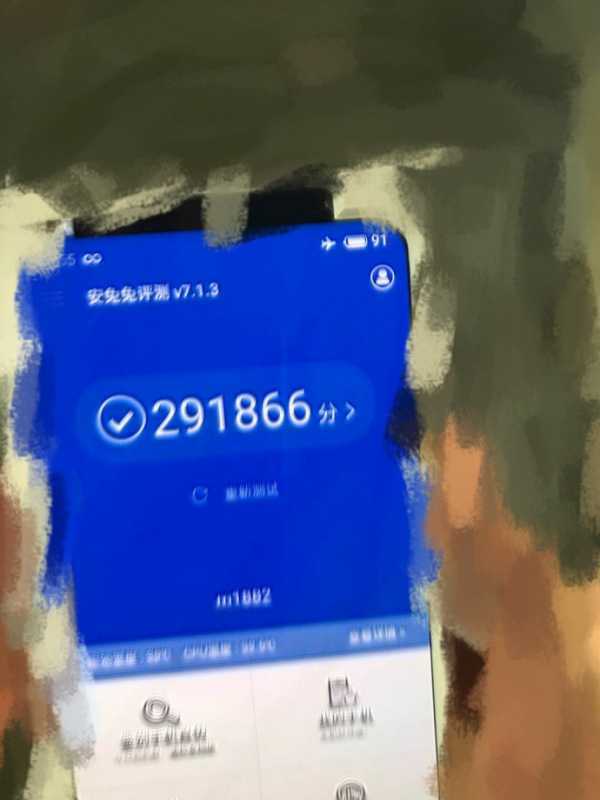 Today, a leaked snapshot showing the AnTuTu score of the Meizu 16 has appeared online. It reveals that the smartphone has recorded an impressive average benchmarking score of 291,866 on AnTuTu. Recent leaks have revealed that the Meizu 16 has a model number of m1882. The same model number can be seen in the leaked photo. Now that Meizu 16 has crossed the 290K+ mark on AnTuTu benchmarks, it will be powerful enough to compete with the flagship phones from other smartphone OEMs. In fact, it has scored higher than other Snapdragon 845 smartphones like Xiaomi’s Black Shark gaming phone that scored 289,959, Vivo NEX that recorded a score of 284,227, OnePlus 6 that scored 282,275 and Xiaomi Mi 8 that had reached a score of 273,321. Rumors have it that the Meizu 16 will be arriving in two flavors such as 6 GB RAM + 128 GB storage and 8 GB RAM + 128. These variants are rumored to be respectively priced at 3,398 Yuan ($509) and 3,598 ($538) Yuan. As far as Meizu 16 Plus is concerned, rumors have revealed that it has a model number of m1892. It is likely to arrive in three models such as 6 GB RAM + 128 GB storage, 8 GB RAM+ 128 GB storage and 8 GB RAM + 256 GB storage. These models are expect4ed to carry respective price tags of 3,598 Yuan ($538), 3798 Yuan ($568) and 4,288 Yuan ($641). The Meizu 16 and 16 Plus are expected to house 5.6-inch and 6.1-inch OLED notch-less dual edge curved screens. Both the phones are heavily pegged to arrive with in-display fingerprint scanner.